You've taken the freelance plunge. Now that you're business is established, what can you do to reach the next level? What strategies make the difference between surviving and thriving? 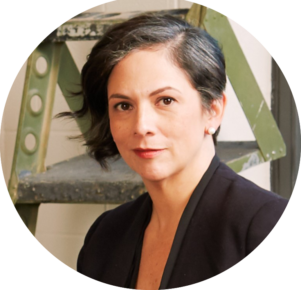 Monica Maldonado Williams, founder of GivingCity Austin and recipient of WCA's 2015 Anne Durrum Robinson Creative Initiative Award, shares tips and takeaways for freelancers of all stripes. Our Master Classes offer conference attendees an alternative experience: intimate sessions and hands-on activities led by industry experts. Note: Seats are limited and attendees must pre-register. Check whether you fit the “recommended audience” profile before signing up. Monica Maldonado Williams is the founder and editor of GivingCity Austin, a media company serving the philanthropic and social sector. With a website, social media channels, a weekly column in the Austin American-Statesman, a bi-weekly segment on KTBC's Good Day Austin, and events including the Art of the Gala conference, GivingCity reaches more than 20,000 Austinites each month. Monica has more than 20 years of communications, marketing, journalism, and new media experience, and is a frequent speaker on philanthropy, communications, and diversity. She has been recognized for her work through numerous awards, including the Women Communicators of Austin Anne Durrum Robinson Creative Initiative Award, the SXSW Community Service Award, and recently, an inaugural Austin Mosaic Award for her work on nonprofit diversity.